Dependable fuel service is an integral part of running a successful commercial enterprise. Can you count on your local energy provider for timely deliveries, competitive pricing, and professional service support? When you do business with Ormond Energy the answer is absolutely! Ormond Energy is proud to provide top-rate fuel services to commercial businesses in North Carolina’s Johnston County and the surrounding areas. We understand that your time is valuable, which is why our team is dedicated to providing dependable fuel delivery to keep your projects on track. Whether you power your equipment with off-road diesel or propane, you can count on us to help get the job done! Ormond Energy has been a member of the local business since 1956. Over the years, we have expanded our services and locations to meet the growing demands of other thriving companies. Propane gas is the standard choice for restaurants across the country. Aside from its important role in the kitchen, restaurant owners choose this versatile energy source for its many applications, affordable pricing, and safe operation. 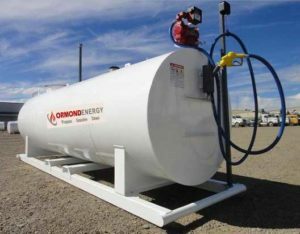 Ormond Energy provides delivery of top-quality propane, gasoline(s), and diesel(s) to fuel a variety of essential equipment and machinery that you depend on to meet deadlines and accomplish goals. Customers that rely on bulk storage tanks to meet the demands of high-volume operations can count on Ormond Energy to provide efficient fill-ups. We are also happy to supply tanks to our commercial fuel customers. 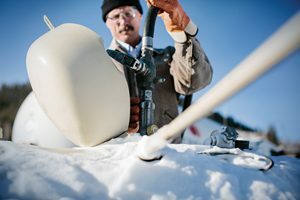 If your business uses propane cylinders or autogas, we can take care of that too! Contact us to place your next fuel order or to become a commercial customer.